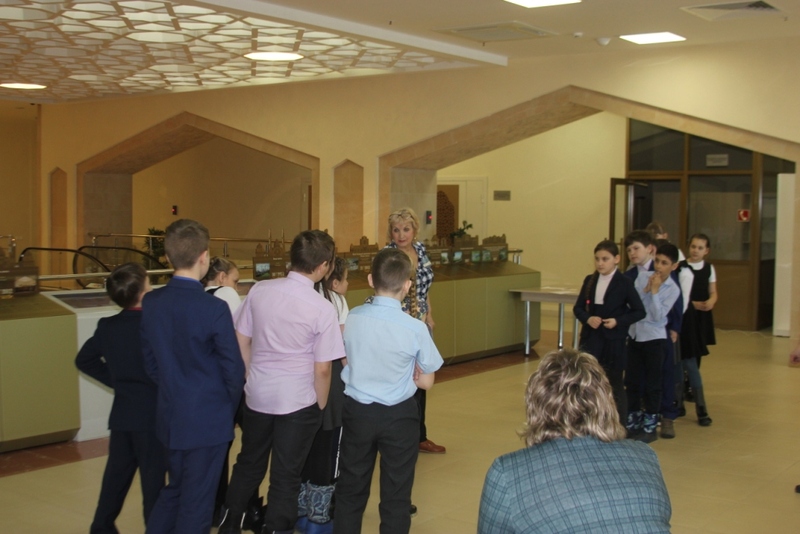 On April 9, 2019 the staff of the Museum of Bulgarian civilization Zarifullina T. G. and Kamaeva T. P. held an information and educational event “We paved the way to the stars”, dedicated to the Day of aviation and cosmonautics on April 12 for students of the 4th grade of the MBOU “Bulgarian secondary school №1 with in-depth study of certain subjects of the Spassky municipal district of the Republic of Tatarstan”. The children got acquainted with the history of space exploration, with the “father” of Russian cosmonautics K. E. Tsiolkovsky, the designer of the first spacecraft S. P. Korolev, watched the documentary “the First man in space – Yuri Alekseevich Gagarin.” Then the students took an active part in solving crossword puzzles with the key words “satellite” and “astronomer” in the quiz “What do we know about space?”. A fun and funny games such as “Star words”, “Weightlessness”, “Aliens”, “Who will quickly collect space debris in the suit” and others have created a festive, joyful mood. The event ended with a tour of the halls of the Museum of Bulgarian civilization and photographs.